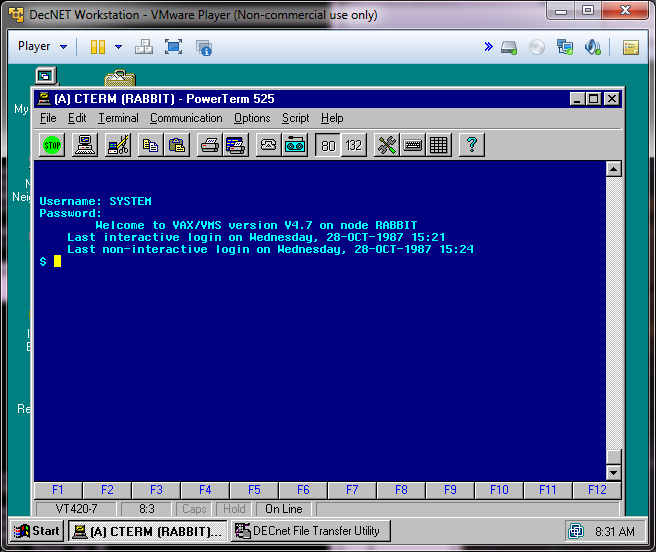 Years ago, I was given an image of VMS 4.7. I only tested it for idle capabilities, and that is as far as I got with it. I never used it for anything else. 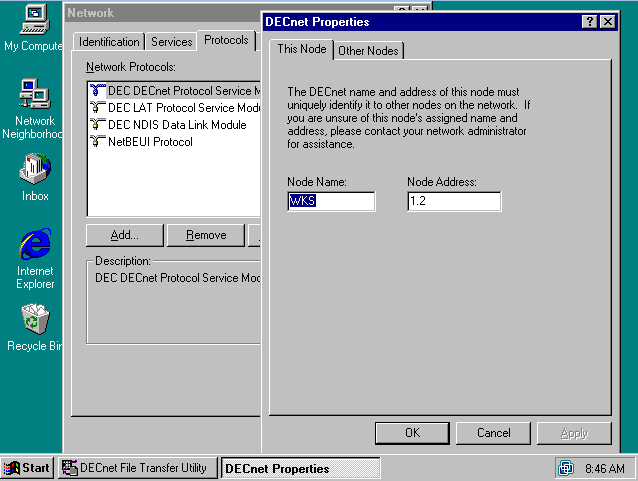 But today I needed to verify my Win32 Hecnet project works, so I needed to generate some legit DECNet traffic. Luckily I still have the VMS image, and in the prevailing years I managed to get a copy of PathWorks for Windows NT (And one for MS-DOS as well!). Cool. 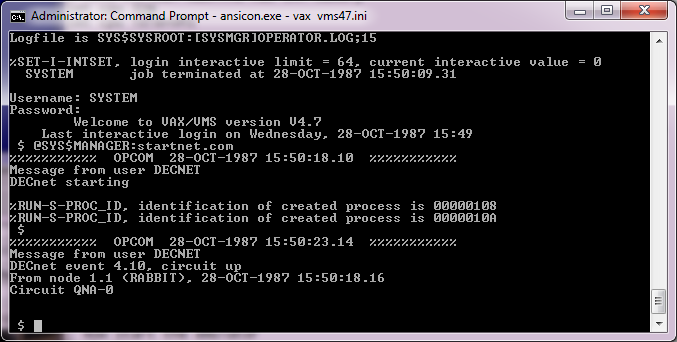 Now I use ansicon, in the hopes it’ll make the console better, and fire up VMS. executed, in case you wish to perform them manually. Here are the commands necessary to setup your system. %UAF-I-RDBADDMSGU, identifier DECNET value: [000376,000376] added to RIGHTSLIST. If you have not already installed the DECnet-VAX license, then do so now. SYS$MANAGER:STARTNET.COM to startup DECnet-VAX with these changes. It basically set itself up. And on the Windows NT side, I simply set itself up as node 2 in area 1. And now I can use CTERM to connect to the VAX. Nice!. And it even works through my port of HECNet. On reboots you have to manually start the network. I don’t have EDT, or I don’t know where to find it (remember the gold key? ugh). And that’s about all I know about VMS. But it’s good to see that configuring this was pain free! I was just going to ask when you were going to do something on VMS. You read my mind. Uncanny. Ha! I just uploaded my build of hecnet for win32… I’ll need to test this some more, but I may just go ahead to announce, and see if it lands with a thud. lol sounds right.  I barely could logon and check email @ school, then our vax was killed. later on I helped virtualize a VAX, then it too was killed. Too bad, as they were massive beasts. I wanted to put NetBSD on the 8600, and use it for a NTP server… but a hurricane blew out the buildings triple phase for it, and that was the end of that. I know it’s kind of interesting that you can just link ASM, Cobol, Fortran and C together, but to be honest, I can’t figure out how to even link a simple C program.. 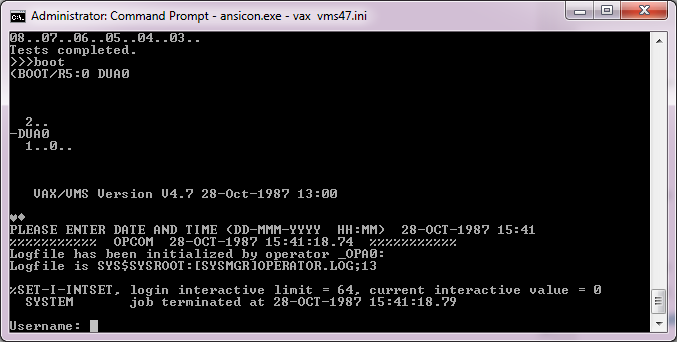 I had some VAX access while in college, mostly to run assembly language programs. I don’t think they teach VAX ASM anymore since they finally retired that machine. There is a big group of DEC refugee’s on over at hecnet. I think there is a few dozen. IIRC: EDIT/EDT is the command. EDIT itself could also be EDT in that release. Also: VMS would automatically change the MAC…so the address set on xq doesn’t really matter iirc. At this point, I’m just logging in and testing my compressed bridge… what I need is a game on VMS or something, doing ‘dir’ is getting boring quick. Also who do I talk to about joining HECnet? Since I can run the bridge on Windows now, I setup a Terminal server, bound decnet to a loopback interface, and running HECnetNT, I can connect to my SIMH VAX, but it’s a lonely world. Any idea how I can configure Pathworks on Windows NT 4.0 to grant FAL access to remote VMS hosts? When I do NCP “DEFINE ACCESS DEFAULT READ”, OpenVMS remote hosts get back the entire c:\winnt\system32 directory for “DIR WINNTHOST::” – I want to force the default FAL to another directory. NCP “DEFINE ACCESS USER DEFAULT HOME C:\FAL” is not accepted as a command. Thank you. Next Next post: Announcing HECnetNT! Google’s DNS vs OLD browsers..